Remember all that buzz about a Gremlins reboot from not too long ago? It’s one step closer to reality with today’s revelation that Warner Bros. has selected a producer and charged him with the task of bringing Gizmo back to the big screen. Bloody-Disgusting reveals that Abraham Lincoln: Vampire Hunter scribe Seth Grahame-Smith has been brought aboard to make sure that someone manages to feed the Mogwi after midnight. This is the latest in a series of fairly high profile projects boasting Grahame-Smith’s involvement. He recently finished a draft of the screenplay for the remake of Tim Burton’s beloved Beetlejuice. There’s currently no word as to whether or not Grahame-Smith will also pen a script for the Gremlins reboot, but it would make sense given his history. What we do know at the present is that he and partner David Katzenberg (through their KatzSmith Productions banner) will oversee the project as it moves forward. Should Grahame-Smith decide to write the script, the next big step will be finding a director. We’re mostly okay with the idea of rebooting Gremlins – with one major caveat: Please, for the love of all that is holy, do not make Gizmo and Stripe 100% CGI. Animatronics and puppets are still the way to go here – with some CGI enhancement. 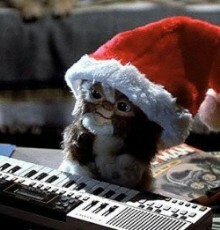 Are you ready for more Gremlins? Sound off below.